Lincoln Electrical Contractor Inc is an electrical contractor company that has been in continuous operation in Miami Florida since 1992. We offer a wide range of services and experience in maintenance and upgrade of electrical power,emergency and standby electrical service,electric repair, residential construction as well as commercial construction.﻿ With over 21 Years in the business we focus on giving our costumers the best service possible at the most reasonable price assuring your satisfaction with a wide range of serivces. Stablished in 1992 located in Miami Florida Lincoln Electrical Contractors Inc gives you the best electricians in Miami providing the best work on residential and commercial services. offering dependable, honest, and thorough customer service. Our technicians go to any and all lengths to meet and exceed your expectations. 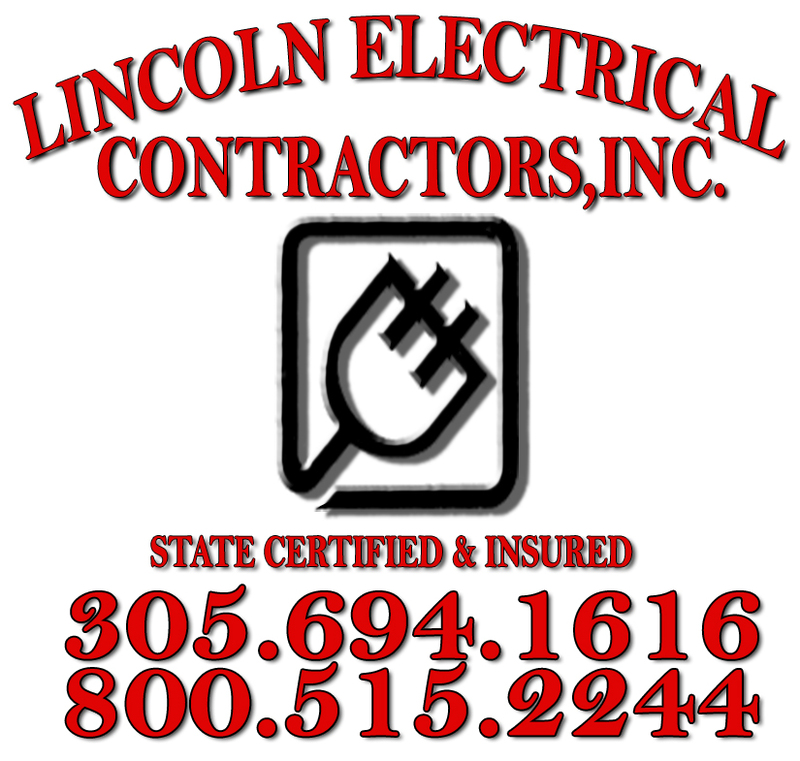 We always help you to fully understand the scope of work involved, here at Lincoln Electrical Contractors Inc we care about your needs and our goal is to solve your electrical problems as soon as possible!